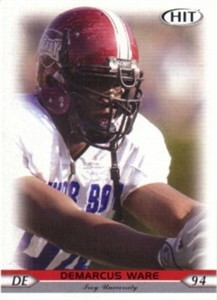 2005 SAGE Hit Rookie Card of Cowboys superstar DeMarcus Ware. NrMt-Mt or better. ONLY ONE AVAILABLE FOR SALE.